Selection will be made on the basis of an interview. However, Bank reserves the right to conduct Assessment, Group Discussion or Online Test in addition to interview. Merely satisfying the eligibility norms do not entitle a candidate to be called for Interview/Group Discussion or Online Test. IPPB reserves the right to call only the requisite number of candidates for the Assessment/ Interview/ Group Discussion or Online Test after preliminary screening/ short listing with reference to candidates’ qualification, experience, profile vis-a-vis job requirements, etc. Results of the candidates who have qualified for various stages of the recruitment process and the list of candidates finally selected will be made available on the website. Final select list will be published on the website. 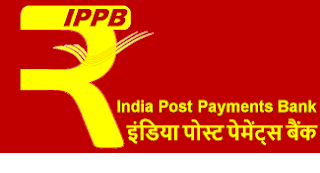 Candidates are first required to go to the IPPB authorized website www.ippbonline.com and click the option “CLICK HERE TO APPLY FOR Direct Recruitment in Scale II, III, IV & V” to open the online Application Form. To register their application candidates will be entering their basic information in the online application form. After that a provisional registration number and password will be generated by the system and displayed on the screen. Candidate should note down the provisional registration number and password. An Email & SMS indicating the Provisional Registration Number and Password will also be sent. Ex-service Commissioned Officers, including ECOs/ SSCOs, who have rendered at least 5 years military service and have been released on completion of assignment (including those whose assignment is due to be completed within one year from the last date for receipt of applications) otherwise than by way of dismissal or discharge on account of misconduct or inefficiency or on account of physical disability attributable to military service or on invalidment - 5 years.